#1 PRICED CERTIFIED CIVIC LX IN OVER 100 MILES! 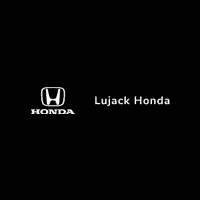 **Honda CERTIFIED**, **GREAT FUEL ECONOMY**, **BLUETOOTH**, **AUTOMATIC TRANSMISSION**, **ONE OWNER**, **NO ACCIDENTS**, **FACTORY WARRANTY**, **ALLOY WHEELS**, **REMOTE KEYLESS ENTRY**, **SIRIUS XM RADIO**.Nothing gives peace of mind like a factory backed Certified Pre-Owned warranty. Recent Arrival! Odometer is 6342 miles below market average! 31/41 City/Highway MPGHonda Certified Pre-Owned Details:* Limited Warranty: 12 Month/12,000 Mile (whichever comes first) after new car warranty expires or from certified purchase date* Warranty Deductible: $0* Vehicle History* Powertrain Limited Warranty: 84 Month/100,000 Mile (whichever comes first) from original in-service date* 182 Point Inspection* Transferable Warranty* Roadside Assistance with Honda Care purchaseAwards:* 2016 North American Car of the Year* 2016 KBB.com Brand Image Awards2016 Kelley Blue Book Brand Image Awards are based on the Brand Watch(tm) study from Kelley Blue Book Market Intelligence. Award calculated among non-luxury shoppers. For more information, visit www.kbb.com. Kelley Blue Book is a registered trademark of Kelley Blue Book Co., Inc.
**Honda CERTIFIED**, **LOW MILES**, **POWER SUNROOF**, **TOUCH SCREEN RADIO**, **BACKUP CAMERA**, **GREAT FUEL ECONOMY**, **USB CONNECTIVITY**, **BLUETOOTH**, **AUTOMATIC TRANSMISSION**, **ONE OWNER**, **NO ACCIDENTS**, **FACTORY WARRANTY**, **ALLOY WHEELS**, **REMOTE KEYLESS ENTRY**, **SIRIUS XM RADIO**.Your only Certified Honda dealer in the QC! Nothing gives peace of mind like a factory backed Certified Pre-Owned warranty. Recent Arrival! 31/40 City/Highway MPGHonda Certified Pre-Owned Details:* Powertrain Limited Warranty: 84 Month/100,000 Mile (whichever comes first) from original in-service date* Roadside Assistance with Honda Care purchase* Vehicle History* 182 Point Inspection* Limited Warranty: 12 Month/12,000 Mile (whichever comes first) after new car warranty expires or from certified purchase date* Warranty Deductible: $0* Transferable WarrantyAwards:* 2017 KBB.com 10 Most Awarded Brands * 2017 KBB.com Brand Image Awards2016 Kelley Blue Book Brand Image Awards are based on the Brand Watch(tm) study from Kelley Blue Book Market Intelligence. Award calculated among non-luxury shoppers. For more information, visit www.kbb.com. Kelley Blue Book is a registered trademark of Kelley Blue Book Co., Inc.
Scores 31 Highway MPG and 27 City MPG! Dealer Certified Pre-Owned. This Honda HR-V delivers a Regular Unleaded I-4 1.8 L/110 engine powering this Variable transmission. .
**Honda CERTIFIED**, **HEATED LEATHER SEATS**, **TOUCH SCREEN RADIO**, **BACKUP CAMERA**, **POWER DOORS AND LIFTGATE**, **USB CONNECTIVITY**, **BLUETOOTH**, **AUTOMATIC TRANSMISSION**, **ONE OWNER**, **NO ACCIDENTS**, **POWERFUL V6 ENGINE**, **FACTORY WARRANTY**, **ALLOY WHEELS**, **REMOTE KEYLESS ENTRY**, **REAR DVD PLAYER**, **SIRIUS XM RADIO**.Nothing gives peace of mind like a factory backed Certified Pre-Owned warranty. Recent Arrival! Odometer is 16,449 miles below market average! 19/28 City/Highway MPGHonda Certified Pre-Owned Details:* Roadside Assistance with Honda Care purchase* Transferable Warranty* Warranty Deductible: $0* 182 Point Inspection* Limited Warranty: 12 Month/12,000 Mile (whichever comes first) after new car warranty expires or from certified purchase date* Vehicle History* Powertrain Limited Warranty: 84 Month/100,000 Mile (whichever comes first) from original in-service dateAwards:* 2016 KBB.com 16 Best Family Cars Minivan * 2016 KBB.com Best Buy Awards Winner Minivan * 2016 KBB.com Brand Image Awards2016 Kelley Blue Book Brand Image Awards are based on the Brand Watch(tm) study from Kelley Blue Book Market Intelligence. Award calculated among non-luxury shoppers. For more information, visit www.kbb.com. Kelley Blue Book is a registered trademark of Kelley Blue Book Co., Inc.